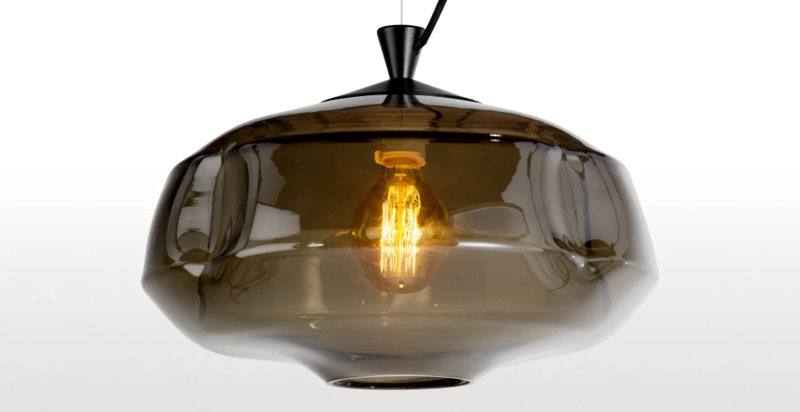 Hand-blown glass is sexier than ever before. 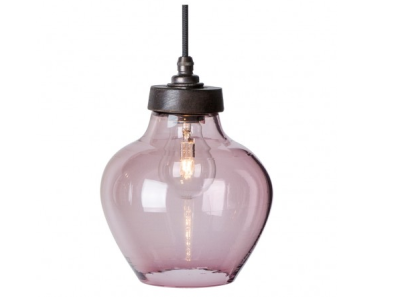 Customers, who are looking to fill their homes with a unique piece of art, already embrace the significance of owning a hand- blown glass lighting fixture. The savviest customers know that it may take months to make and that the blower has to have over a decade of experience to make a lighting fixture that catches the eye. Good news is that beautiful designs can be very inexpensive. 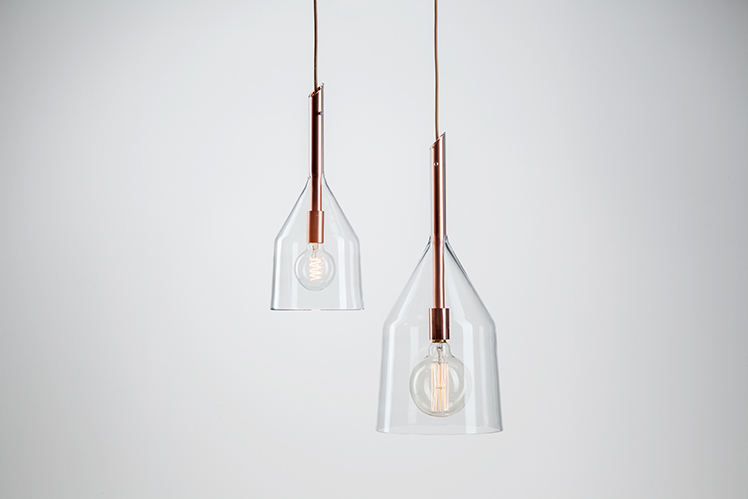 There are established, as well as young light designers, who remain loyal to the glass making craftsmanship, working with natural, locally sourced materials. 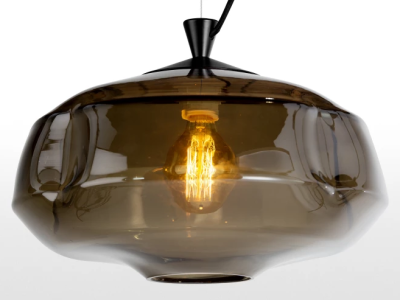 This month, we are looking at beautiful lighting fixture designs that bring the modern zeitgeist to your home. Designers Michaela Tomiškova and Jakub Janďourek first met each other at Novy Bor School of Glass, located in the Czech Republic. While there, they both fell in love with the earliest, artificial material in human history. 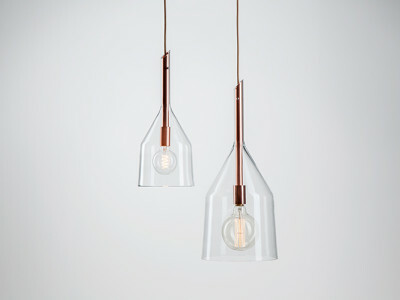 Ever since establishing DECHEM Studio, they have focused on product design and always paid special attention to glass and traditional Bohemian craft techniques.The two size, pendant lights are made of laboratory glass funnels. 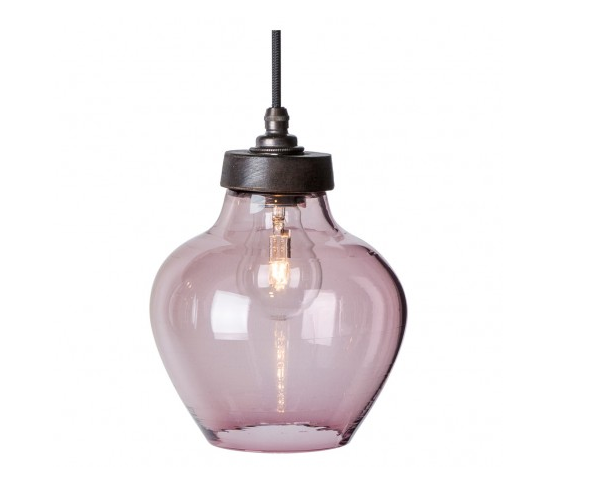 They feature titanium coated glass, suspended nutsche filters, decorative retro bulbs, beige textile cable and copper coated metal construction. 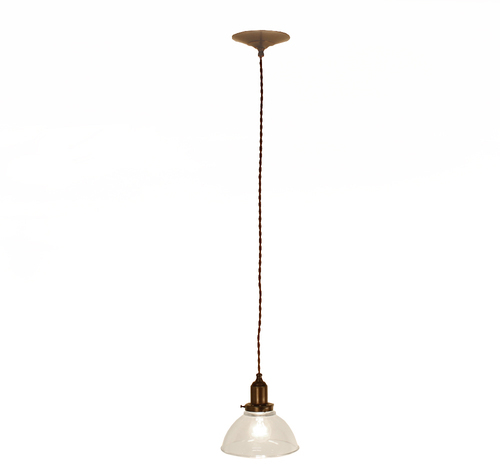 Small lights (S) have a diameter of 180mm and the larges (L) have a diameter of 230mm.